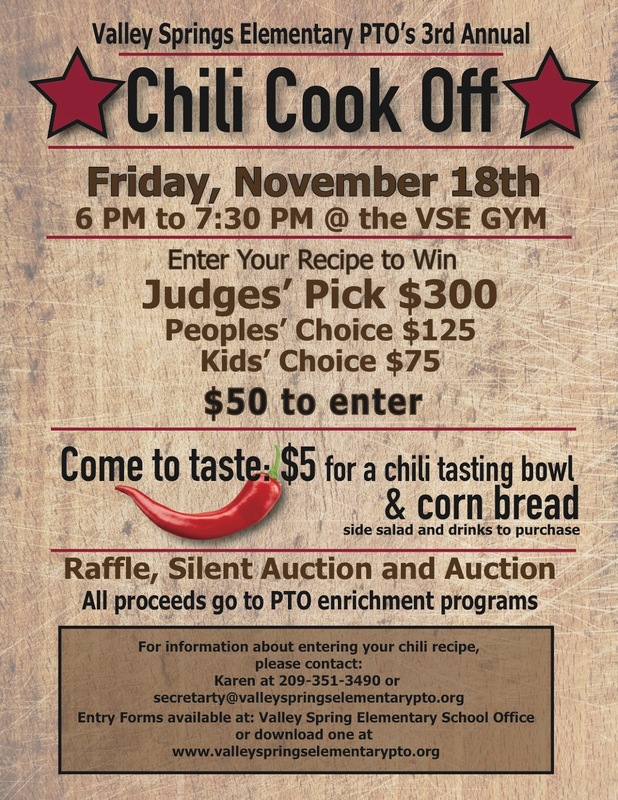 One of the favorite events for Valley Springs Elementary is the Annual Chili Cook Off. A competition of professional caliber. Competitors enter their favorite chili recipe and compete for the honors of the favorite chili. 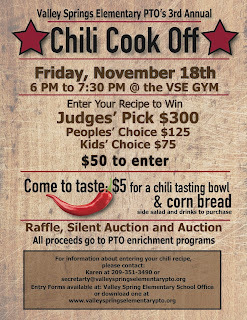 This year the Chili Cook Off will be on Friday, November 18th. If you are interested in competing please download and turn in the entry form (click here to download) by email to secretary@valleyspringselementarypto.org or by mail or hand delivery to VSE-PTO, 240 Pine Street, Valley Springs, CA 95252. The Bulldog Trek is an annual PTO fundraiser. This fundraiser brings in the most money for the PTO. Last year we were able to raise around $9000. This year the goal is to raise $15,000. There are many projects that the school needs help with, including playground improvements, school grounds painting and more. 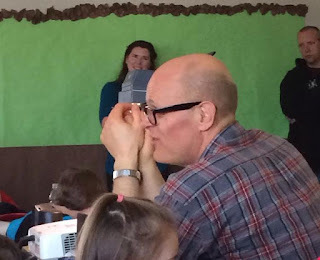 The funds raised also helps to pay for Mr. Roberson, our Music Teacher who visits the children's classrooms once every other week. Mr. Roberson isn't the only program that PTO funds. PTO helps to fund 6th grade Science Camp and Family activities at the school. This year the Bulldog Trek will be held on September 15th during school time. Students help us fundraise by getting pledges from friends, family members or the community, either a flat donation or a rate per lap. Students will walk, jog or run as many laps as possible during the Trek. Top fundraisers will get to choose from the grand prizes. The prizes include a Chromebook, a Kindle Fire with case and $50 Amazon Gift Card, a movie pack worth $50, a bounce house rental from Calaveras Jumpers or a 4 pass pack from Barrel of Monkeez in Angels Camp. Students who run the most laps will receive medals for their efforts. All students who raise $40 or more will receive a custom t-shirt. Look for your pledge sheets in your Tuesday Envelopes. Welcome to the 2016/2017 School Year! As each new school year is started, there is hope, anticipation and excitement by the teachers, parents and students. Valley Springs start this year with a new principal, a new TK/Kindergarten Teacher. We hope the start to your school year is a great one!